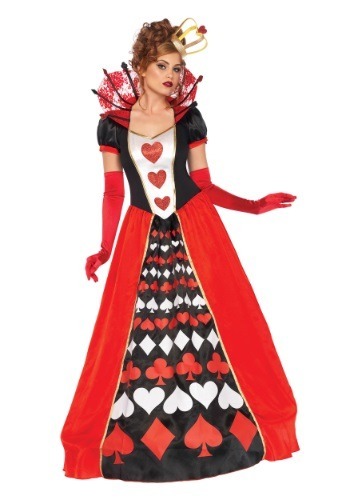 We never really understood why the Queen of Hearts was always yelling, "Off with their heads!" Whenever she was angry. We're sure it wouldn't have done too much damage considering most of her subjects had already lost their minds in that crazy world. Just look at the Mad Hatter! We're not entirely sure what her reasoning is, but we do know a few things about her that we love. She knows she's in charge, so she's never going to take no for an answer. If she wants to go play crochet with a bunch of hedgehogs and flamingos then it's going to happen! She says "paint the roses," we all reply "Would that be ruby or candy red?" As strange of a punishment as decapitation is in this mad world, we very much like our brains still attached so we don't really feel like arguing. She also really knows how to dress well. That whole card theme is really doing it for us. The bold color contrast of red, white, and black really brings out the sinister look in her eyes, which we shouldn't like at all, but are still oddly entranced by... Oh and there's always the awesome fact that she's the queen of a world where you can shrink and grow basically as you please! She could have a regular sized castle and then have a miniature one inside that castle where she could hang out all the time without her subjects bothering her with silly things. We think the fact that she wants everyone dead on a whim is pretty rough though, so we think it's time for a new queen. You don't have to change anything, just threaten a beheading here or there without actually going through, and everyone will listen to you. 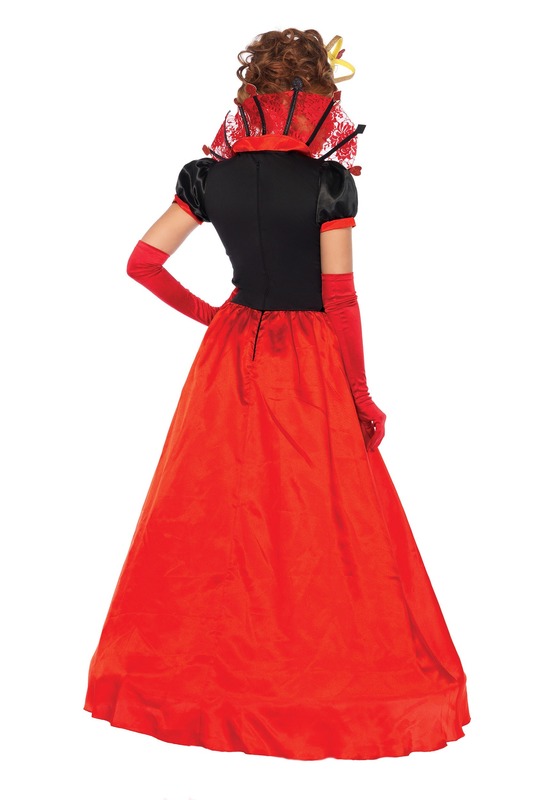 You'll even look fantastic doing it all with this Deluxe costume complete with a lovely crown.